We have compiled a fun filled list of fantastic Easter crafts to keep your Children entertained this Easter. From wearable bunny ears to home made Easter baskets, you’ll enjoy making these as much as your little ones will. So read on, choose the ones you like best and get crafting! Everyone has access to cardboard toilet paper rolls, so why throw them out when they can be made into these adorable Easter craft bunnies? See the instructions at Crafts by Courtney. Easy, cute and the kids will get to get their fingers dirty! Step by step details at Sarahndipities. Give this super simple paper plate Easter Bunny a try at nontoygifts. Got some foam cups and some pipe cleaners? Then go to Crafts by Amanda and turn them into these cute and crafty Easter Bunnies! Bounce bounce! Cheep cheep! Yum yum! This great Easter Craft Project thanks to Crazy Little Projects. Try these Easter Bunny Ears on for size, with a full instructions at Cutesy Crafts. Get your paper craft on with these colorful doily Easter eggs. Step by step instructions at a little pinch of perfect. Fun to make, fun to look at. Learn how to make them at creativefamilyfun.net. These make such a great individual Easter gift. Full instructions at Crafts by Amanda. These lovely Easter printables are available at do small things with love. Turn those piles of craft sticks into these cute little Easter baskets. Learn how at I heart crafty things. 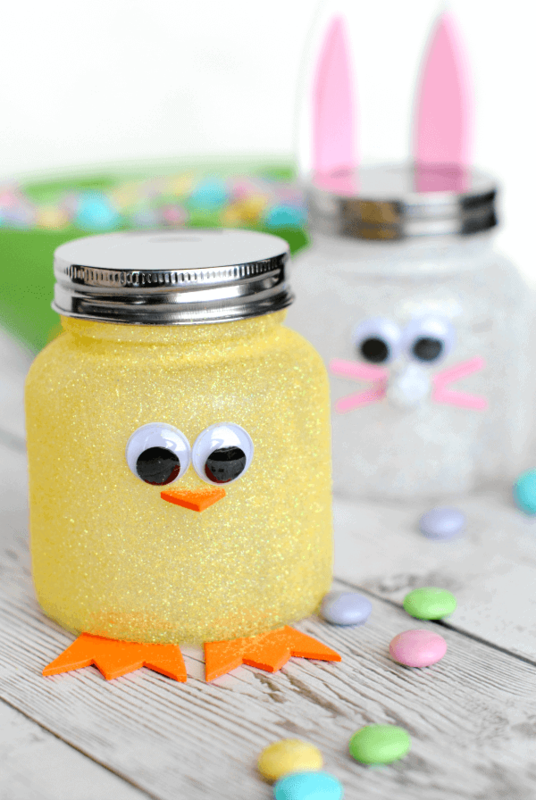 Your little people will have plenty of fun making these hand-print Easter chicks. Full tutorial at A little pinch of perfect. Let the kids make their own basket to collect their eggs in with this cool and easy Easter craft idea. Easy step by step instructions can be found at Kid Friendly Things to Do. These are fun to craft and make a beautiful Easter decoration for any room. You can see how they’re made at Mom on Timeout. Make these crafty little chicks for loads of Easter entertainment. Shared thanks to I Heart Crafty Things. How could you not love these fluffy little home made Easter bunnies? Tutorial via Mom on Timeout. All you need is some colored pens, foil and be ready to have fun! See how to make these at I Heart Crafty Things. 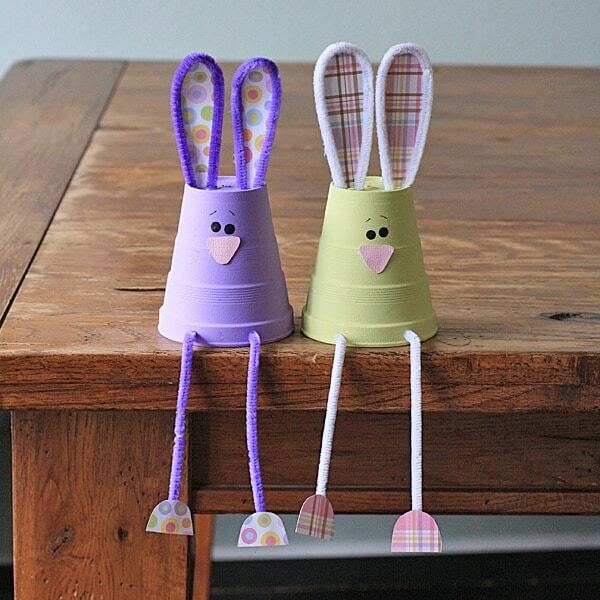 And one more – these lovely wooden craft spoon Easter bunnies found at Kid Friendly Things to do. We hope you enjoyed this collection of fun Easter crafts for kids from around the web. For more Easter craft goodness check out our previous post Here’s 21 of the Best DIY Easter Crafts and Decorations.